Hi all; currently trying to get together the money to move very soon but finances are really bad now. I really need to know what the best candles are that could help with financial gain and quickly. Thinking of Money Drawing Vigil Candle. If you need a certain amount by a certain date, I would do a divination and see if St. Expedite will work for your case. If he will, then great! Just petition him as usual. Otherwise you can use the Money-Drawing spell kit, adding a bit of Fast Luck to the oil. You may wish to work the Money Stay With Me kit once the money starts coming in to make sure you maintain the increased income and save/spend wisely. My Luckmojo " money drawing glass vigil candle, fixed" arrived last week, and I decided to light it up yesterday evening. Last night, when I was sleeping in the middle of the night around 2-3AM, I was awakend by a small voice talking some kind of: "kids talk" which I couldnt understand. When I opened my eyes and looked around, I couldnt see anyone, so I close my eyes once again and tried to sleep, as soon as I closed my eyes, an image of a small man in green appeared in front of me (though my eyes closed, i saw it there). Due to my surprise, wierd feeling, and all those scary feelings, I shook my head, tried to get it out of my head then I returned to sleep. I didnt see it again after that. Im living in Germany in my apartment alone, the small voice I heard couldnt be anyone for sure. Its my first time to experience this, and I do not know what to do. 1) Does it have anything to do with the vigil candle I lit? 2) What does that experience mean? 3) Is it positive sign? 4) What should I do if I experience it again? I need money for a big purchase. I can't work full time because I'm a student. I looked at the vigil candles on the MISC website and have seen different ones for money spells. There is Money Drawing, Fast Luck, and an Attraction candle. Which one is right for me? Or should I get the St. Expedite candle? 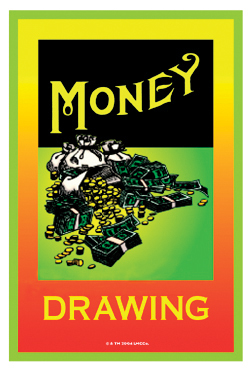 In my personal opinion, I would go with the money drawing. Bayberry is also a very good one. You can order the Money Drawing Vigil Candle right here! !